I look right into your eyes. in your weary weathered eyes. Do you see yourself in mine? and try to breathe in yours? and what you’ve learned along the way. like a beautiful summer sunset cut short by a flock of clouds? And moved I was–completely changed, in fact. 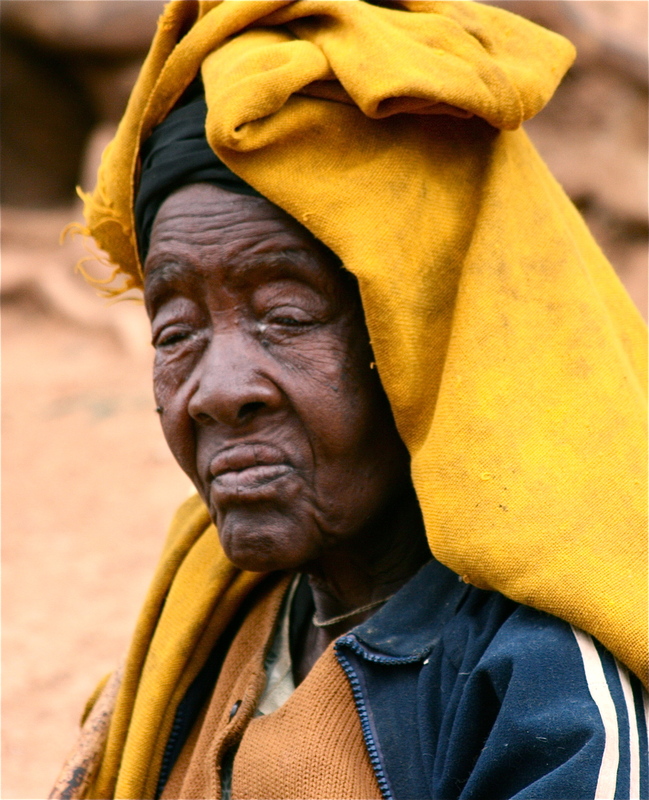 Ethiopia is a place where everything that is intrinsically real and raw meets the road–where every conclusion you might have about life is truly challenged. The chaos there is so intense, it leaves little room for the thoughts in your own head…but of course they come anyway, finding their way in through your pores and into your dreams. All assumptions vanish quickly, while any previous sense of entitlement becomes a distant memory. Materialistic impulses fly out the door, followed closely by everything else that seemed so important before. Suddenly you feel naked, stripped of all you thought you knew. Standing alone and perfectly still, your mind goes on spinning with the sights, sounds, and smells of each day. Then, something else creeps in…gratitude? Not for all of the “stuff” you have back home (although we in the western world have much of that to be grateful for–our opportunities for education, for example–but that’s another topic for another day). No, it’s more of a humbling gratitude to just be here, in this land that seems even God him/herself has forgotten. I found myself thankful to meet the people here who have so little in terms of power, prestige and possessions, yet what they have instead seems so much more valuable. These are people who know how to be…how to value what’s real–in each other, without otherwise filling their days with mindless, ceaseless activity. 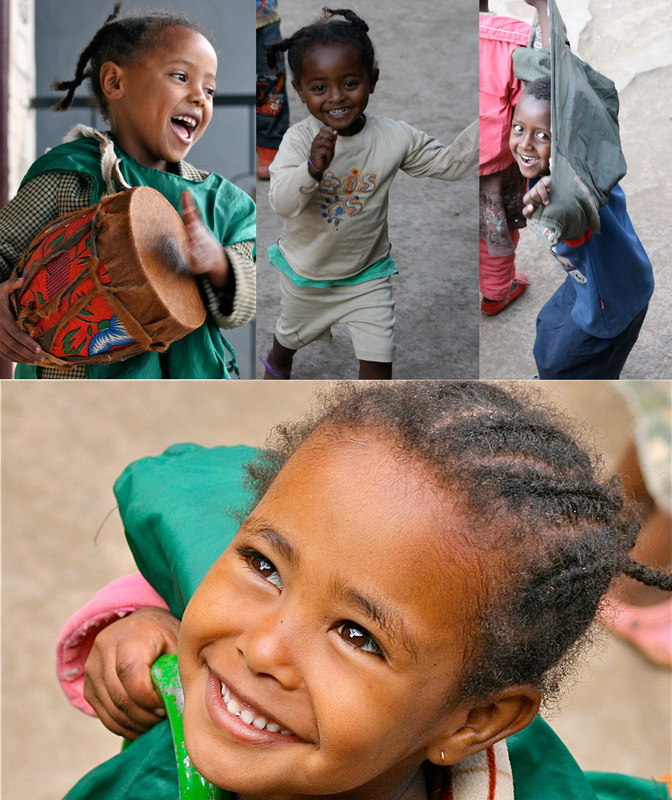 The children of Ethiopia are magical, good, pure…untainted. They value education, as it is the means to their very survival. Hanging on to my every word, I saw hope in their eyes–for a future that’s brighter. I continue to be in awe over the fact that these kids do not yet seem to wear the worry of their parents on their faces–as if no one has had the heart to tell them that their lot in life will be a difficult one (and who could?). 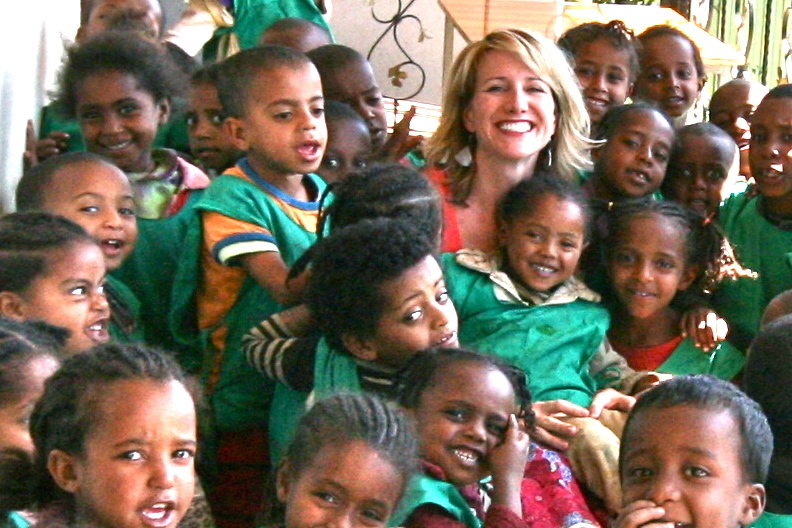 Instead, they carry a joy with them that resonates in the very fibers of my being. Words like, “mine” don’t seem to be known to them. Simply put, they are a beautiful inspiration to me. When I look in through those transfixing eyes, into their divine souls, I see a wonderful testament to the human spirit that I shall not soon forget. I invite you to come be changed with me. If not by plane, then come, read along as I journey into the soul of Africa–into Ethiopia…so maybe this land won’t be forgotten after all.